In attempt to cheer myself up from the fact that we are not spending Easter with all the family this year and Matt is off at work trying to do as many hours as he can over the long weekend, I thought a bit of blogging distraction might help! Oh, and I can guilt free let the kids scoff themselves on chocolate so they are happy and I can type uninterrupted! 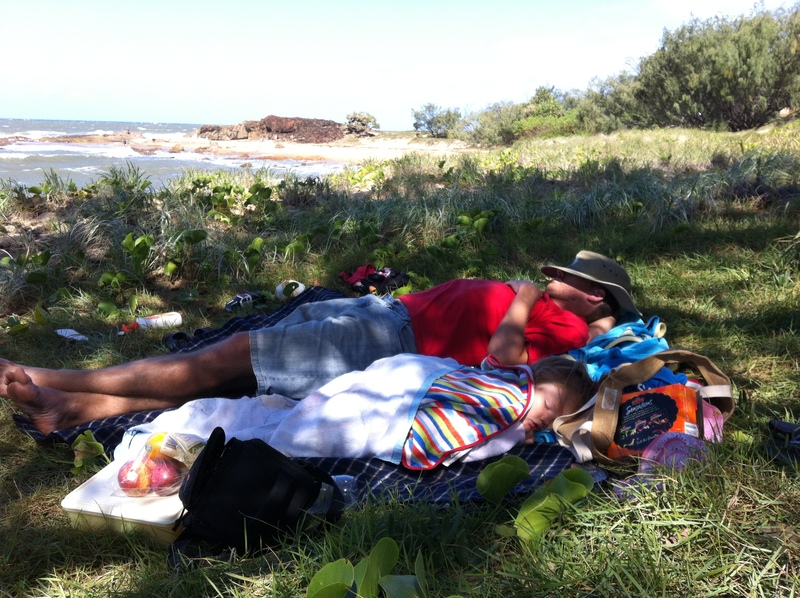 On our way home from Easter at Emu Park last year, we stopped in and had two nights exploring Agnes Water and 1770. 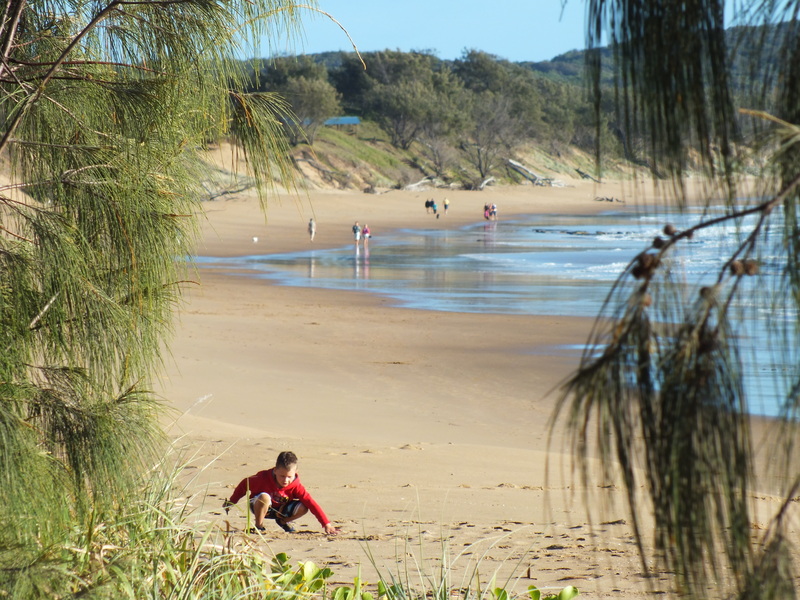 We camped at the Agnes Water Beach Caravan Park which was a lovely spot right on the beach. 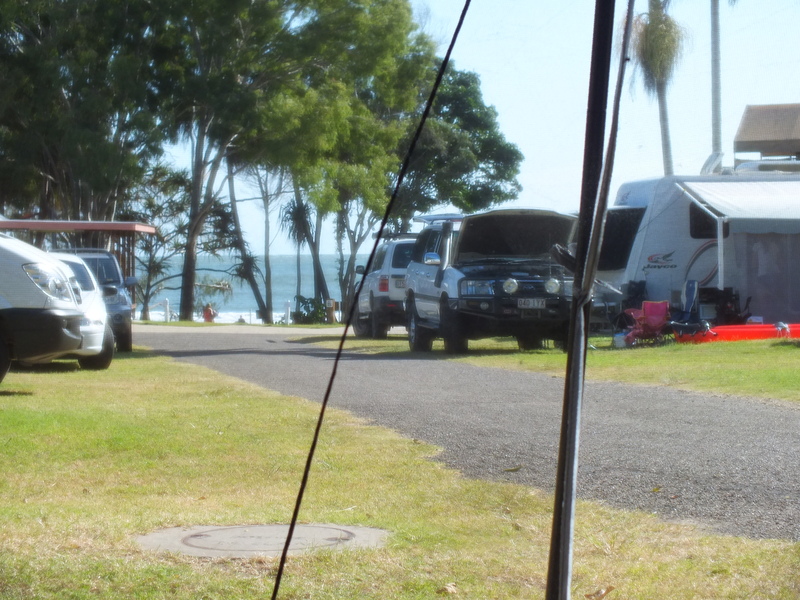 The caravan park was packed given that it was the Easter school holidays and Matt doesn’t like camping in caravan parks at the best of times, especially not when we are jammed in like sardines! 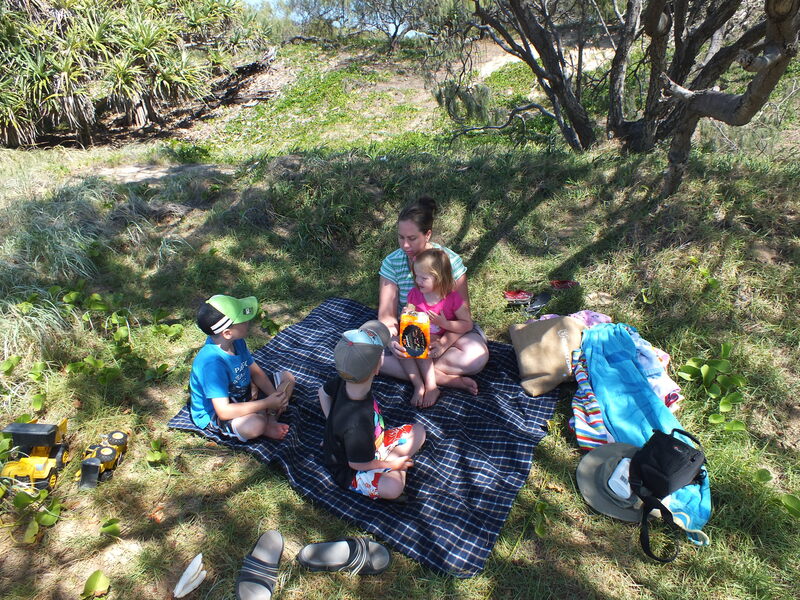 However, the park had nice grounds, clean amenities, a very basic camp kitchen and the kids really enjoyed the outdoor movie at the park where they got to see ‘Mr Popper’s Penguins’ lying on grass in their sleeping bags with the sound of the waves crashing in the background! 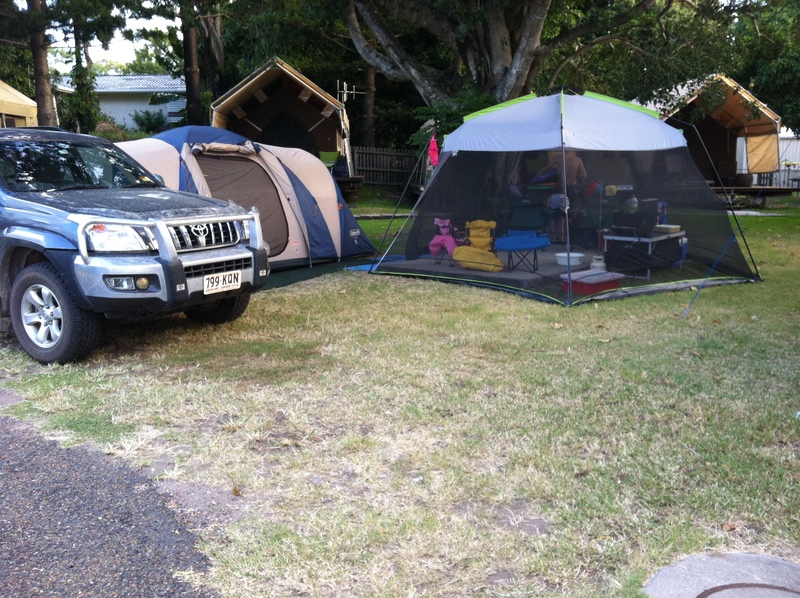 Our tiny little camp site – we had to leave our trailer in a designated trailer area. The camp kitchen had a great view! 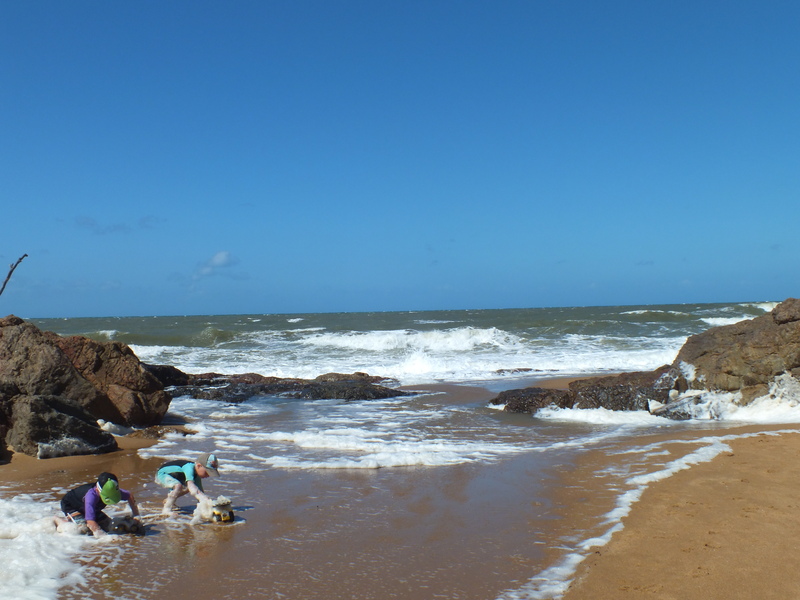 Agnes Water and 1770 are about 5-6 hours drive north from Brisbane. 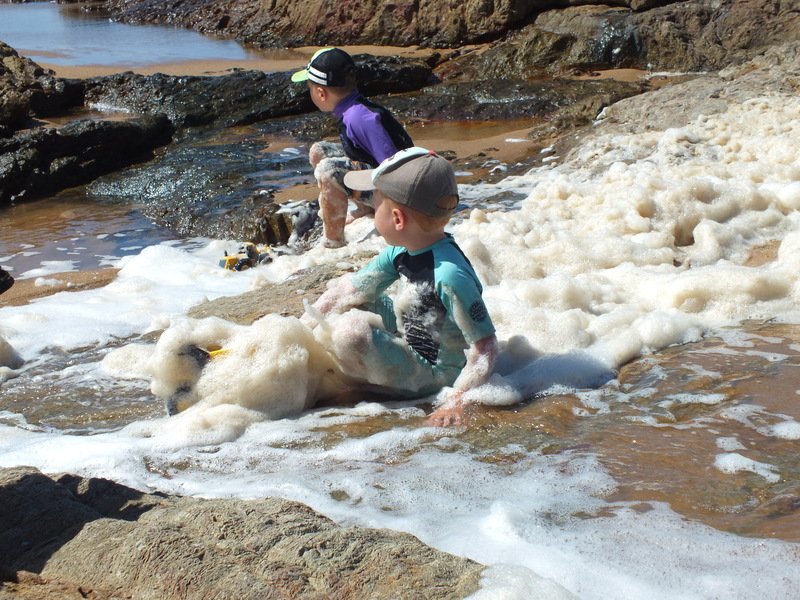 They have the northern most surf beach on the east coast of Australia. 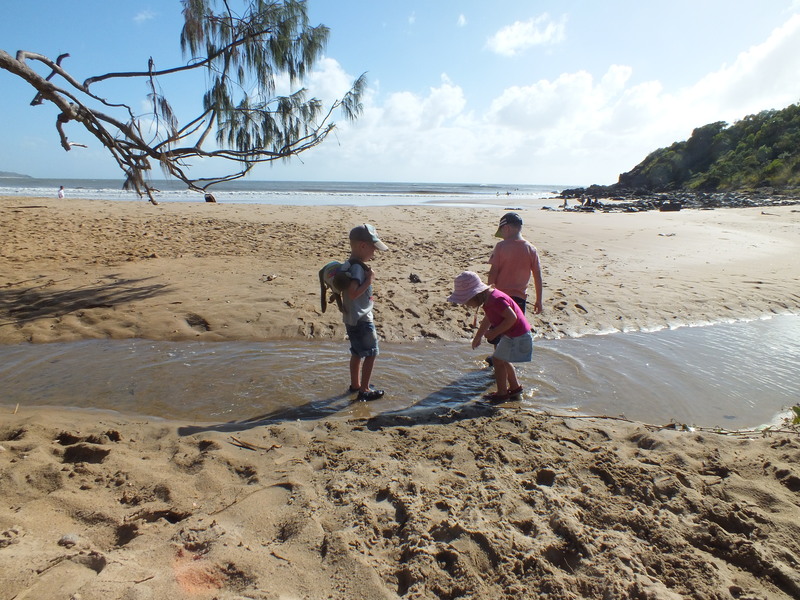 The beach at Agnes Water was a bit too rough for our littlies while we were there – the kids just kept getting dumped and swept towards the rocks, but the beach at 1770 did look much calmer with lots of boats moored there. 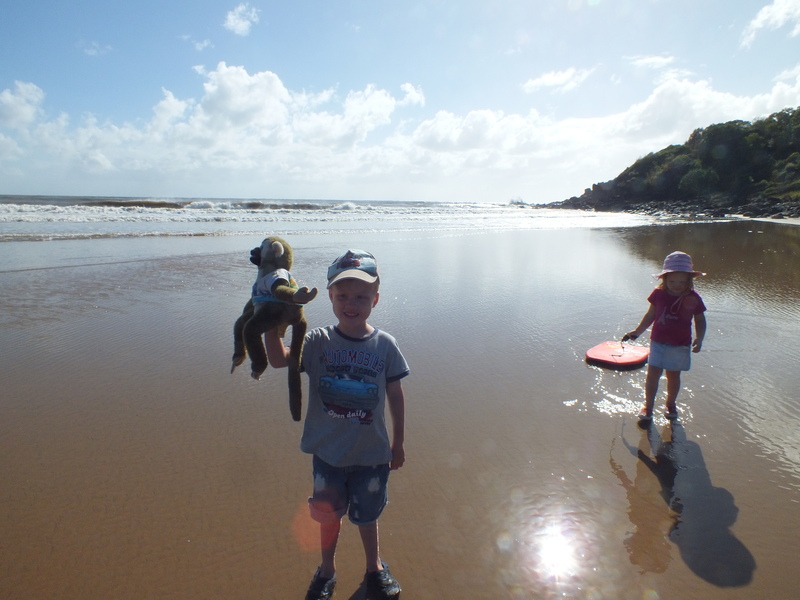 Walk on the beach Agnes Water – Tobes had the kindy monkey visiting on this trip! Thank goodness the monkey made it back to kindy in one piece! The townships are very small and quiet and are nestled between two National Parks; Deepwater and Eurimbula. 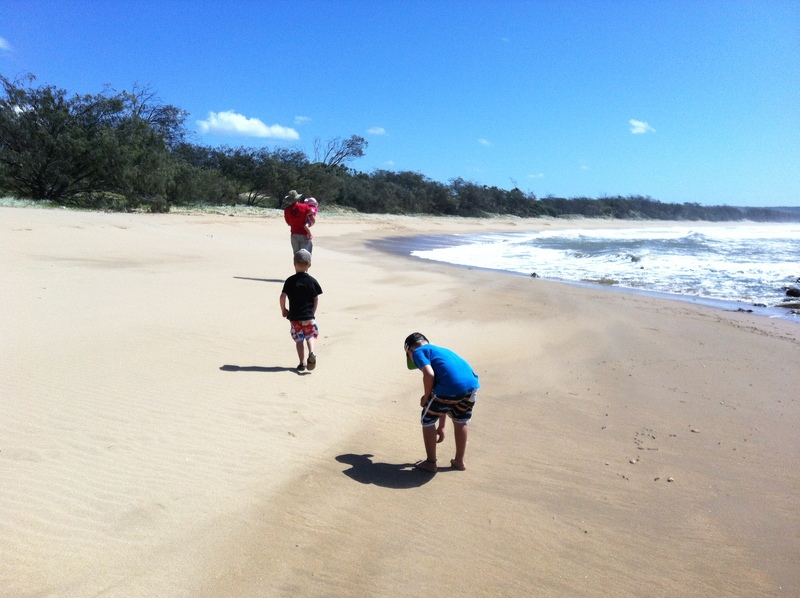 We spent a whole day exploring Deepwater National Park http://www.nprsr.qld.gov.au/parks/deepwater/about.html#features and wished we had more time to explore Eurimbula. 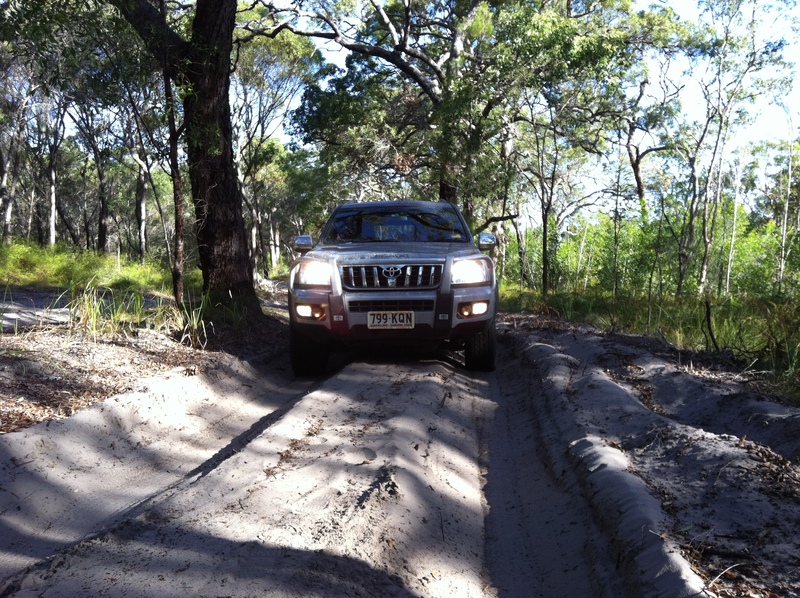 Four wheel driving in Deepwater National Park – I need to improve my 4wd Action photography skills! 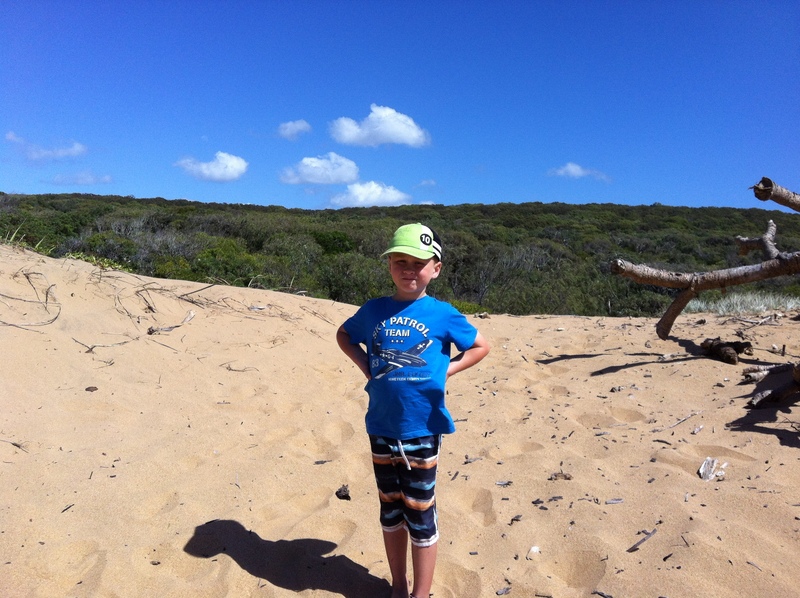 We spent most of the day relaxing on the beach in front of the Wreck Rock camp ground. 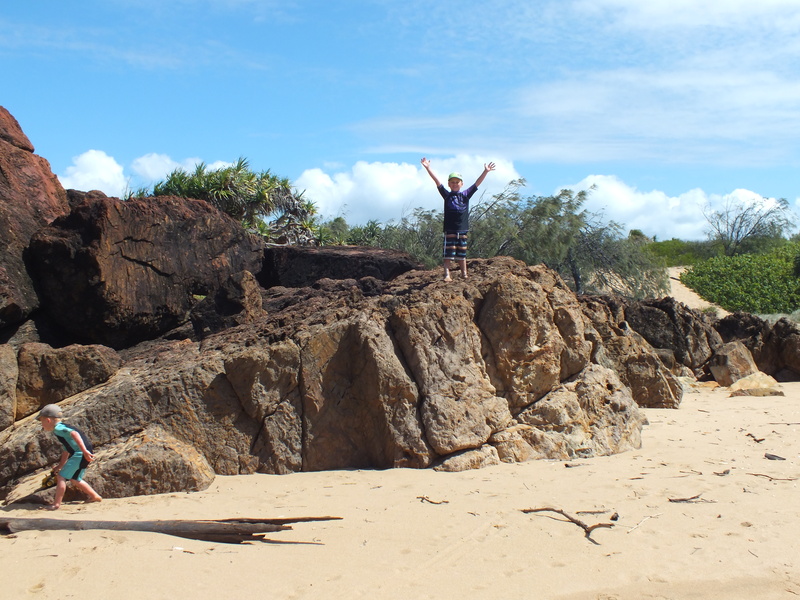 The Wreck Rock campground has 14 numbered and defined sites which are all quite shady. 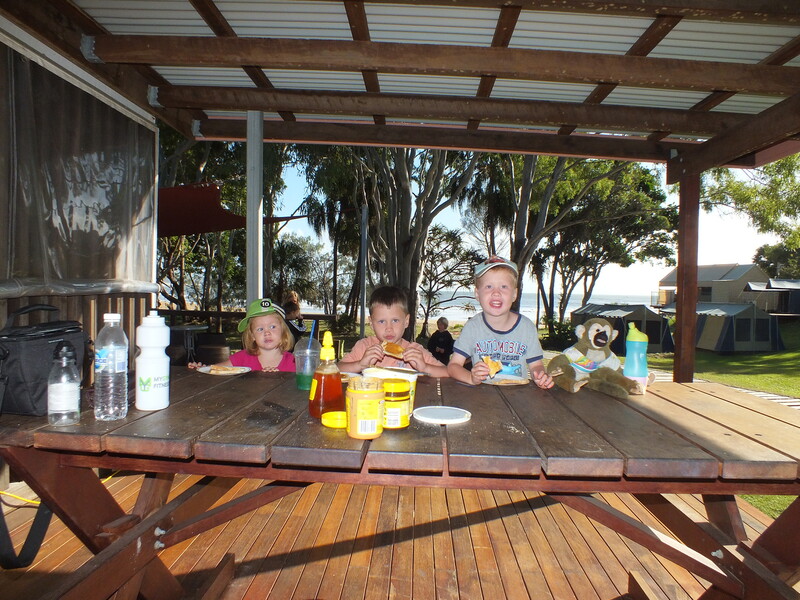 There are picnic tables, composting toilets, rainwater and bore water (must be boiled) and one cold shower. Unfortunately no open fires are allowed otherwise the spot would be just about perfect! And an even nicer spot for an afternoon nap! Definitely a place to add to your ‘must visit’ list. I think 1 or 2 weeks here would be a great way to really wind down and enjoy the slow pace for a while. 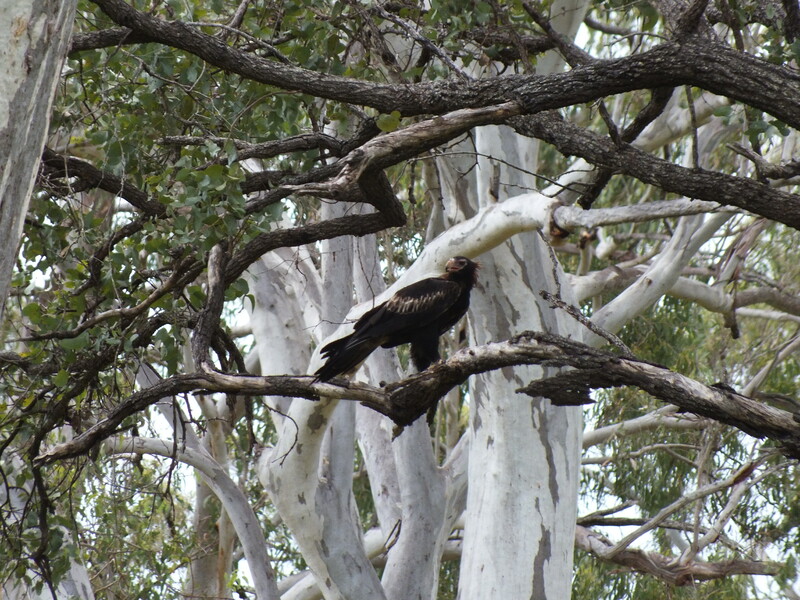 Oh – and just a photo of the wedge tailed eagle we spotted on the way home – quite an impressive bird!